In July, my focus at Kids Yoga Stories was on Latin America. I lived in Guatemala for five years as a Primary School Teacher and still feel a special connection to the culture and language. 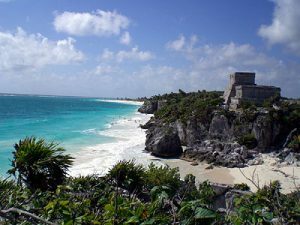 Tulum, Mexico is a laid back town on the Mexican Rivera near Cancun and Playa del Carmen. A mix of relaxing on the white sand beaches, diving in the caves, walking throughout the many Mayan ruins, and exploring the smaller villages. A great place to visit while you are pregnant – it felt safe, we ate well and the locals were very accommodating! We met an Aussie family with two young children who were traveling around the area on bus for six months. Super inspiring! Photo: From Wikitravel, until we get our photos ready. Antigua, Guatemala is a cobblestone village in the mountains outside Guatemala City, Guatemala. There are many restaurants, cafes, and a variety of accommodation to suit any budget. The town boasts a plethora of Spanish Language Schools where I met our beloved Spanish Teacher, Victor Toj. 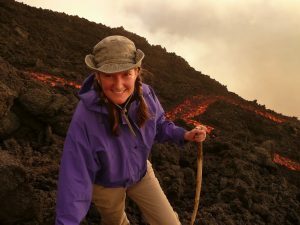 Photo: Here is a picture of my husband and I climbing Volcano Pacaya, just outside of Antigua. I’m petrified! 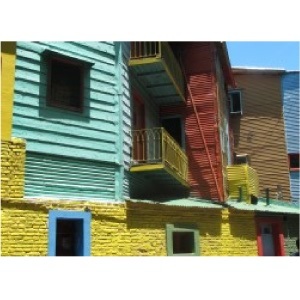 Buenos Aires, Argentina is a bustling city with many old and new sights to see, friendly people, the beautiful Tango dance and delicious food! There are a variety of things to do whether you are visiting on your own, as a couple or traveling with the whole family. 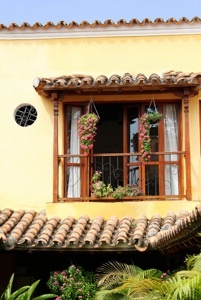 Palomino, Colombia is a great place to visit to relax and enjoy the Colombian lifestyle. It has beautiful beaches and the Sierra Nevada mountains are spectacular. You can also visit the villages of the Kogui indians. 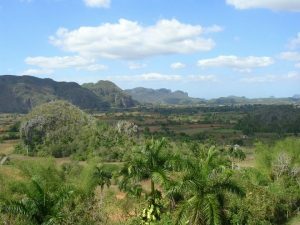 Cuba has a fascinating history and is full of cultural experiences. There were always open doorways with music playing and people practicing their dance moves, at all hours of the day. The locals love to share about the country’s history and welcomed us with open arms. Photo: My parents recently went to Cuba and danced at the Scottish Country Dance Festival – so cute! Volcano Arenal, Costa Rica is a quaint village in the Cloud Forest of Costa Rica. Highlights are the colorful animals and lush forests. Sophia’s Jungle Adventure was inspired by a hike with my sister-in-law to a waterfall near Volcano Arenal (many years ago!). 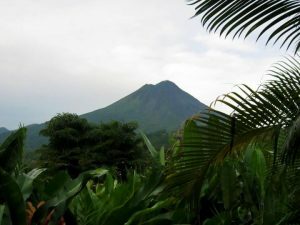 Photo: Our friends, Natalie and Vince, went to Volcano Arenal recently and snapped this picture from their hotel room. 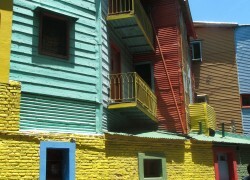 Share your favorite Latin America destination on our KYS Facebook Page. Would love to hear if you have traveled with your children to these places as well.